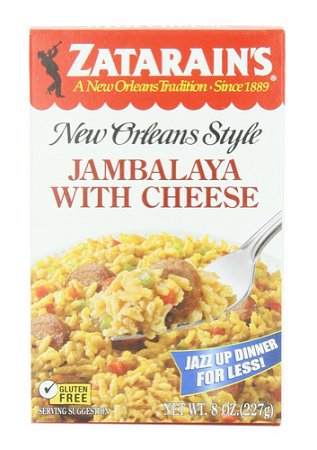 A delicious traditional New Orleans dinner dish made with rice, spices and your choice of meat or seafood (or both) - now with cheese! Each package plus one pound of meat or seafood makes six cups of Jambalaya with a total preparation time under 30 minutes. Great with chicken, ham, sausage, shrimp or game. This product is Gluten Free! This product is an 8oz box.